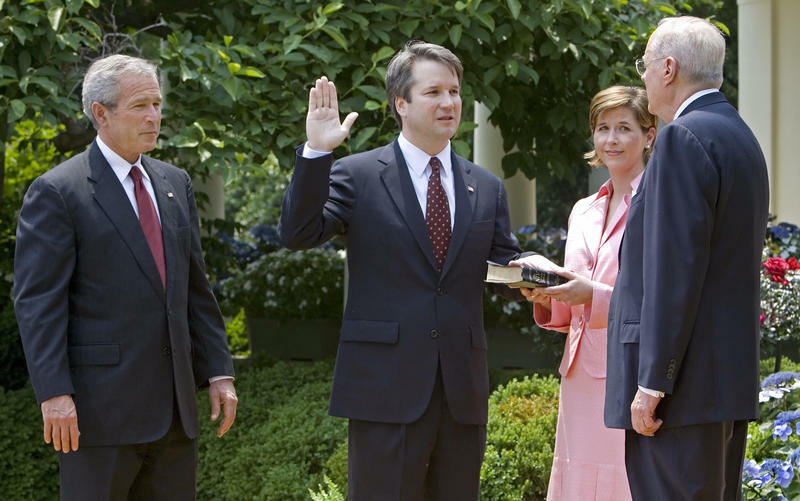 Supreme Court nominee Brett Kavanaugh meets Sen. Rob Portman, R-Ohio, on Capitol Hill in Washington, Wednesday, July 11. Ohio’s two U.S. Senators met with U.S. Supreme Court nominee Brett Kavanaugh ahead of what are likely to be heated Senate confirmation hearings. 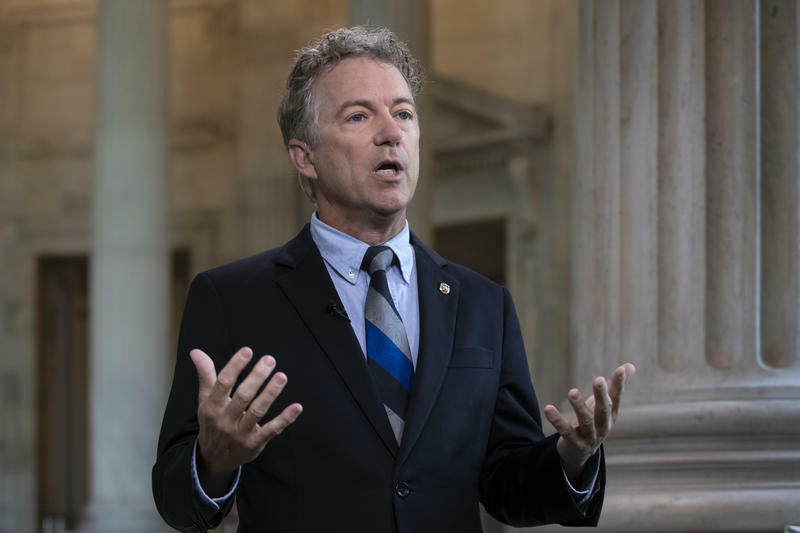 Sen. Sherrod Brown, a Democrat, said he still has deep concerns his conversation with Kavanaugh, who President Trump nominated to fill the seat vacated by retiring Justice Anthony Kennedy. 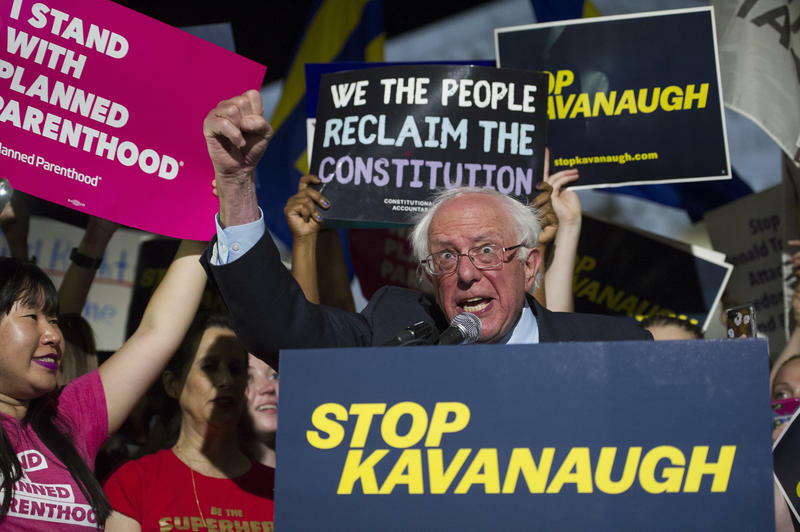 Brown said Kavanaugh’s decisions as a lower court judge showed a pattern of ruling in favor of corporations and against labor and consumer interests. Nothing in his meeting with the nominee allayed his concern. Brown said he will not make a decision on the nomination until after Kavanaugh’s Senate Hearings. Sen. 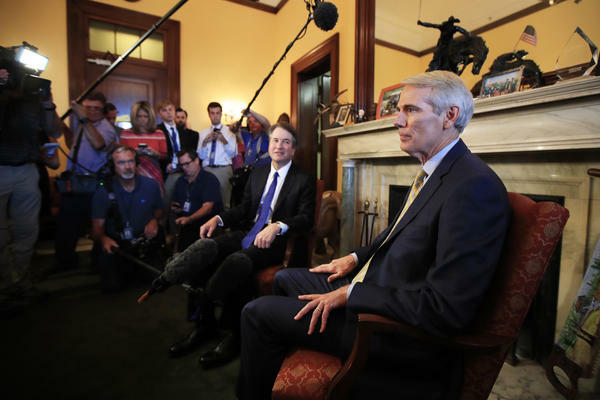 Rob Portman, a Republican, was one of four senators who visited the White House on Monday to prep Kavanaugh for the hearings. Portman said he’s confident Kavanaugh will be ready to field questions from the Senate Judiciary committee, including whether he’d overturn Roe v. Wade. Portman supported Kavanaugh since the pick was announced. The committee hearings are scheduled for September 4-7. Republicans need 50 votes to confirm Kavanaugh and currently hold 51 seats in the Senate. Was Selecting A Supreme Court Judge Always So Divisive? "Solid choice." "As right-wing as they come." "Clearly qualified." "Serious concerns." Those are the words Brad Wenstrup (R-OH), Aftab Pureval (D-Hamilton County), Rob Portman (R-OH) and Sherrod Brown (D-OH), respectively, used to describe their reaction to President Donald Trump’s choice of Brett Kavanaugh to replace Supreme Court Justice Anthony Kennedy, who is retiring later this month. So depending on what side of the aisle you fall on, you're either ecstatic or terrified.